What kind of conditions are you seeing on area roads? What slick spots are you seeing? Let us know. Call the Talkback line at 1-844-282-1035. You can join the conversation on our Facebook page or tweet your thoughts using #WTOP. A winter weather advisory for freezing rain and freezing drizzle is in effect until 6 a.m. for D.C. and the inner suburbs. 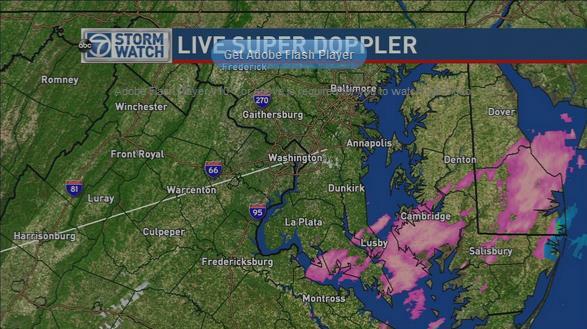 * PRECIPITATION TYPE---FREEZING RAIN AND FREEZING DRIZZLE. AREAS UP TO A TENTH OF AN INCH. * TEMPERATURES---UPPER 20S TO LOWER 30S. * WINDS---NORTH AROUND 10 TO 15 MPH. * IMPACTS---UNTREATED SURFACES MAY BECOME SLIPPERY AND HAZARDOUS. AND LIMITED VISIBILITIES---AND USE CAUTION WHILE DRIVING. 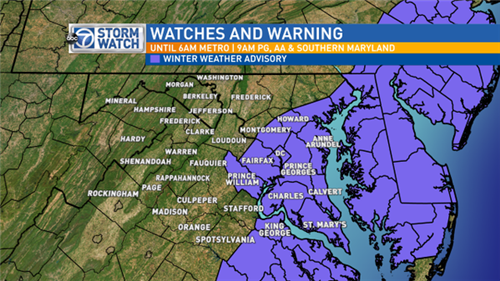 WESTERN SHORE AND LOWER SOUTHERN MARYLAND COUNTIES THROUGH 9 AM. AGAIN LATE SATURDAY INTO SUNDAY. MORNING---AND AGAIN SATURDAY NIGHT INTO SUNDAY MORNING. SHA crews were deployed overnight and will continue storm operations through the morning rush hour. @WTOP Major ice in SoCo Anne Arundel! Delay travel tweethearts! @wtop a lot of ice in Crofton!!!! WASHINGTON -- All lanes of northbound I-95 before Md. Route 32 have reopened after a crash involving a tractor-trailer Tuesday morning. The icy conditions caused the tractor-trailer crash early Tuesday morning. All lanes closed before 4 a.m. and reopened at about 6:30 a.m.
Officials have not released information about what led to the accident or if anyone sustained injuries in the crash. 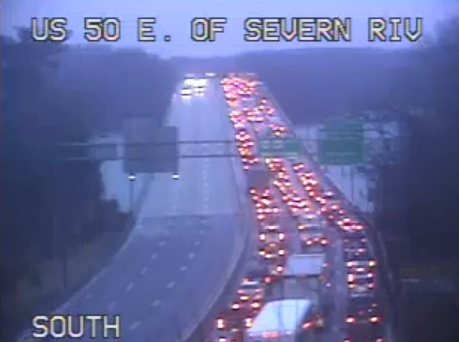 All lanes of westbound U.S. 50 on the Severn River Bridge are blocked. 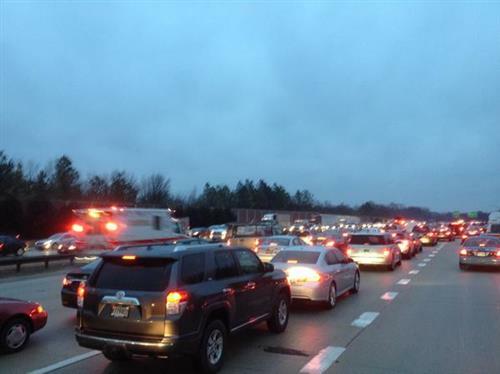 Maryland State Highway Administration Spokesman Christopher Bishop asks drivers to delay their commute. WASHINGTON -- A Maryland State Highway Administration spokesman is asking drivers to delay their Tuesday morning commute as crashes mount because of slick roads. 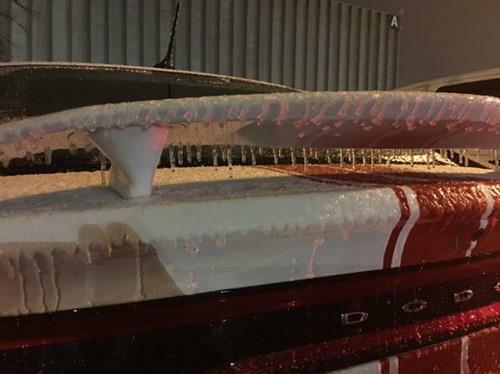 Roads around Maryland were not pre-treated before Tuesday morning's cold weather and rain, says Maryland State Highway Administration Spokesman Christopher Bishop. Roads were not treated because the state usually puts down a brine mixture, which would have washed away with the early morning rain. As soon as ice is reported, crews put down salt, Bishop says, adding that trucks are criss-crossing the region Tuesday morning putting down salt on the slick, untreated roadways. Bishop asks drivers -- particularly those in Anne Arundel County -- in the region to slow down or delay their commute. "We are asking folks to drive below the speed limit, not at the speed limit, but below the speed limit," he says. Some of the trouble spots include Route 50, Route 3 and Maryland 197, he says. 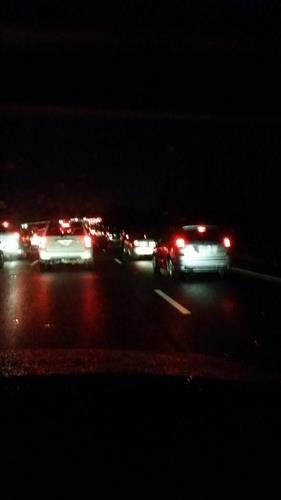 Northbound lanes of I-95 have reopened before Md. 32. Dangerous driving conditions in many areas. IF possible delay commuting until later. Step slowly on sidewalks too. @WTOP Can't get 2 my roads; can't get 2 my sidewalk. My porch steps r VERY slick. Gotta figure out how 2 get kid 2 @MCPS bus stop now. 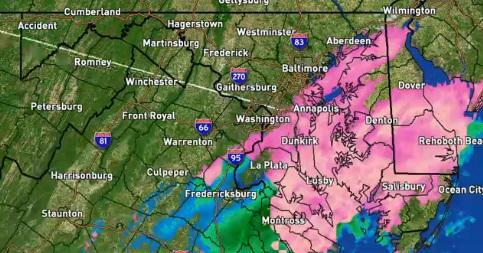 WASHINGTON -- Many Maryland residents are waking up without power Tuesday morning. Baltimore Gas and Electric Company is reporting about 800 customers without power as of 7 a.m. It's not clear what's causing this outage or when the lights will be turned back on. WTOP has calls out to BGE and we'll bring you information when we get it. 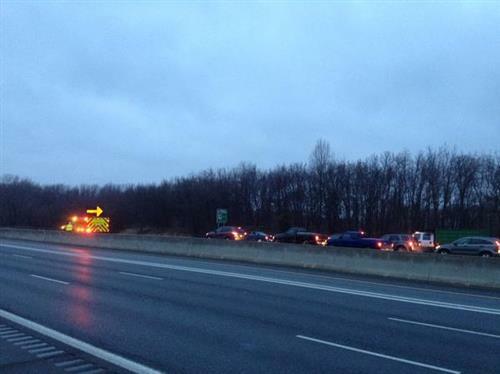 There are several crashes in Route 50 in Maryland, but road crews are there working at 7 a.m., WTOP’s Kristi King reports. @WTOP good!! I live in aa county and the ice is BAD!!! Thank you OPM! Once again no concern for the folks living East of I-95.